The Hazards of Uke | No Chic. Just Geek. Well, it’s been a busy sort of year, and one of the things which kind of got left behind along the way was the idea of blogging about my progress in mastering the ukulele. Finding quality time for the instrument has been difficult enough for much of the last twelve months; spending time writing about practising instead of actually practising would just have been absurd. So, what news on the uke front? Well, one development is that I have acquired a second uke to go with the Makala MK-SC. The second uke is a Tanglewood TU-3 concert model, with a much bigger sound to it. The saddle is a bit of a pain when it comes to restringing, and I think I am still getting used to switching grips between the two different sizes of instrument (I am prone to strumming up the neck of the concert) but on the whole I am very happy with it. This year has also seen me venturing out in public with the uke, which I never would have foreseen a year ago (well – except in some of my more grandiosely delusion moments). Along with fellow members of the Oxford Ukuleles, I recorded a few numbers for the city’s Jack FM, and did a little bit of busking in the city centre, both just this week (the busking was a little marred by a kazoo-related accident resulting in blood spraying across the covered market. I think there’s a lesson to be learned there, but I’ve no idea what). However, I took the uke with me when I went off to do my summer school management job this year. Playing the thing in the office during breaks proved a sure-fire way of annoying my staff, which on reflection probably isn’t a positive, but I was also persuaded to break it out and perform at a couple of social functions. My rendition of Rihanna’s umbrella was met with rapturous indifference by 300 Italian, Brazilian and Russian teenagers at the school talent night, but my rewritten-for-satirical-effect version of Let It Be at the company management party went down a storm and apparently I won a prize (but this was back in August and I haven’t actually received anything yet). So, all to the good so far, even if I’ve hardly made any progress with either fingerpicking or syncopated strumming, two areas I’m very keen to explore. Nevertheless, I thought I would present some general thoughts on how to make the best of your first year with a ukulele. Obviously, make sure your uke is tuned properly so all the strings are sufficiently tight that your strumming appendage will not get tangled up. This sounds obvious but it took me over a month to sort it out – partly because I’m a lefty and have to restring every new uke I get, but even so. I wouldn’t get too hung up on trying to work out the strumming pattern for every new song you learn. Much better to just master the Swiss Army or Calypso strum (these are two names for the same thing, by the way), as this is applicable to almost every song in 4/4 time. There are probably dozens of YouTube videos showing how this one goes, but basically across a four-beat bar it goes D-DU-UDU (down, skip, down, up… look, just go to YouTube). I am probably not the best person to talk about how to form chord shapes, as some of mine are extremely eccentric – I am prone to using my thumb on the G-string when I need an E, an F minor or an A sharp 7, much to the horror of genuine musicians around me. However I do feel qualified to suggest which chords a new player should concentrate on mastering first. C, F, G, G7, D, A, Dm, E7, D7, C7, Am, Em. Just these dozen or so chords, none of which are especially demanding on their own, allow you to play lots of different tunes. If you add A7 to the list you can play a very decent 12-bar-blues in that key. In terms of getting used to switching between chords I found playing triad progressions to be very useful. This is in danger of turning into a serious piece on music theory, but, basically, if you give every note a number from 1-7, the triad progression (or three chord trick) is chords 1, 4, and 5. So the trick in the key of C is the C chord (number 1), followed by an F (4) and then a G (5). In the key of A it’s A(1), D(4), and E(5). Just getting used to playing the 1-4-5-4 progression in as many keys as you can master is a real help in getting knowledge of chord positions out of your head and into your fingers, where it needs to be. A7, B, B flat, E, Gm, G, E flat, Cm, Gm7. Apart from the E, which has a well-deserved reputation as a source of horror for neophyte ukuleleists, none of these is especially challenging if you put the practice in. From this point on, it’s really just a question of mastering the chords you need for a specific song – I grappled with and eventually (sort of) mastered F sharp simply because I needed it to play Hotel California and Wuthering Heights (the latter also requires an F sharp sus 4 which I’m still contending with, but no matter). You may also find it useful to explore the arcane world of the movable chord shape, something which I am still prodding around the edges of and don’t feel qualified to talk about in detail or at length. There are lots of places on the internet where you can find songs with the ukulele chords attached, and I use some of them myself. Coupled to the rapidly-expanding songbook of my ukulele group, there’s no really pressing reason why one should want to actually invest in a ukulele songbook from a bookshop, is there? Well… it really depends on how much you want to challenge yourself (and thus, possibly, improve your skills). It’s easy to try a song off the internet, discover it requires an E flat minor 7 or something else you haven’t cracked, and never consider trying it again. My own ukulele group songbook is actually pretty well pitched in terms of more challenging chords slowly creeping in, but there are other considerations here and a lot of easy songs still appear. For me the big advantages of buying ukulele songbooks are twofold: firstly, the ‘difficult’ songs don’t go away as far or as permanently when you decide you’re not ready for them yet. When I first bought the Ukulele Playlist Blue Book, the version of Hotel California inside was way above my skill level (rather to my disappointment). However, I kept fiddling around with the easier songs in the book (one of the features of this series is that there’s a real mixture of quite gentle and savagely difficult arrangements in each volume) and when I came back to the Eagles’ song I found, miraculously, I was able to actually play it without too much difficulty. This feeds into the second advantage of this kind of book, which is that – to some extent – you can choose your own songs to practice. This is hugely important in terms of motivation – I can understand why the tutor at my uke group has added Yes Sir That’s My Baby to the songbook, as it introduces the C sharp dim, but it’s not a song I can summon up much enthusiasm for. Playing songs you genuinely like and want to master makes a huge amount of difference (and in the same way, playing all the fingerpicking exercises in the world isn’t going to motivate you to progress as much as the desire to play the riff from Back in Black, should that be one of your favourite tunes). Of course, you can still find songs you like off the internet, and I frequently do – but in terms of just challenging yourself, a decent ukulele songbook is also a great resource. It’s difficult to overstate how big a difference playing with a group has made to my ukulele experience over the last year. Partly this is simply due to technical stuff – seeing how certain chords are formed, picking up little tricks (possibly I would have figured out the Em-G switch off my own bat, but I can’t be certain of it), even having the usefulness of the Swiss Army strum demonstrated for me. Partly it is just the fun of it, and the forgiving and yet unforgiving nature of playing in a group – my own dud chords are swallowed by the sound of the whole, while there’s no question of stopping a song just because you can’t quite get to the Fm every time you need it. If I’ve progressed at all in the last year, it’s in the areas of strumming and basic chords, and these are the areas we tend to work on in the group. Picking, movable chords, advanced strumming techniques – these are more things I’ve been looking at in my own time, which is why I’m not getting anywhere fast! Nevertheless, of all the advice I would offer, this last would be the most important: find a group, or start one of your own. All the other things I’ve mentioned should follow almost automatically. As regulars may have noticed (and possibly appreciated), it’s been quiet for a few weeks on the uke front: well, as in the blog, so in life. I’m not quite sure why this should be but it surely can’t be a coincidence that it’s happened since I went to the first meeting of the local uke group. It’s always interesting to go to a new pub, although this may turn out to be a singular pleasure as sheer numbers mean that the group has outgrown this particular boozer and we’re all off to a place I’ve been to a few times as of the next get-together. The Mighty Uke screening seems to have had a catalysing effect inasmuch I wasn’t the only newcomer there. All in all I think nearly twenty people turned up wielding a variety of different uke makes and models; I was initially worried that I’d be the only one packing plastic but a few other Makalas were also present. I’m pretty sure I was the only lefty there, though. The meeting was graced by the presence of the prime mover of another local uke group who proceeded to run through the basics of the instrument and then half-a-dozen songs. This format seemed to be very popular with the assembled ukers and I must confess I can’t think of a better one with which to replace it. But I must confess to being slightly ambivalent about the experience. Firstly – and let’s get this out of the way – I decided not to join in with the singing. This was partly due to the fact that I’d only just met these people and didn’t want to get chucked out on the first night, but also the reality of playing as part of a group felt completely different to playing alone, and was actually rather more challenging. On the one hand going off the rhythm or flubbing a chord change wasn’t that big a deal as the noise from everyone else covered it up, but on the other hand I was still aware of it and it was a little disconcerting to know I was making so many mistakes. The other major thing was that, as a largely autodidact uker, I’m used to coming up with my own (probably rather eccentric) strums to suit the different songs I tackle – well, they’re derived from the books I have, but I inevitably end up spinning them a bit. At the group we played six rather diverse tunes, all of them using the same strum (Swiss Army or calypso or whatever you want to call it). This was completely different to what I was used to. Another disconcerting issue was the fact that my uke seemed to be losing its tuning every five minutes, which isn’t like it at all. Rastamouse, my advisor on all things musical, has suggested that I may be strumming harder or for longer periods, which may explain this phenomenon. Possibly the vibrations from nearly two dozen massed ukes may have been having an effect as well. Not sure. Not really a big deal as long as I remember to pack my tuner I suppose. So yes, I am going again, although I haven’t put nearly as much uke time in recently as I did in December. Partly this is because other stuff has been going on rather a lot: trips to the cinema, stuff to do with the diploma, and so on. I used to squeeze in ten or fifteen minutes late-night practice at the end of a busy day but the young woman in the garret adjoining mine has made it very clear through the medium of banging angrily on our shared wall that she would rather I didn’t. So we shall see: firstly how the uke group gets on in its new environs (changes in my workload mean I won’t be able to stay until the end of the meeting this week, but that can’t be helped), and then about finding regular practice time at a reasonable hour of the evening. The omens are not that great, but such are the realities of diploma year I suppose. For this week’s ukulele-related witter I thought about sharing with you my thoughts on the subject of practising, or finger-picking, or how one goes about learning a new piece. And yesterday, rather to my alarm, I learned that Dr Kermode also plays the ukulele and I may in fact be coming across as some sort of strumming, film-reviewing wannabe stalker. But anyway, I thought I would use the occasion of the festive season to talk a bit about a seminal figure in the history of the uke. Now, possibly more than with most instruments, I expect that one’s exposure to the ukulele when growing up is shaped by where you live. So if you grew up in the USA your uke heroes of years gone by were probably people like Arthur Godfrey or Israel Kamakawiwo’ole (maybe even Tiny Tim if you’re particularly warped). If you are Canadian, your experience may well be influenced by the likes of James Hill. But for those of us who live in the UK, the ukulele is virtually synonymous with one man, and one man only: George Formby OBE. When I was young, Formby’s movies were on the telly all the time – usually in the afternoons and at weekends, admittedly. These are not prestige productions and the plots do all tend to merge into one – rather in the manner of Jackie Chan, George invariably plays a thinly-disguised version of himself, who stumbles into all manner of odd shenanigans. 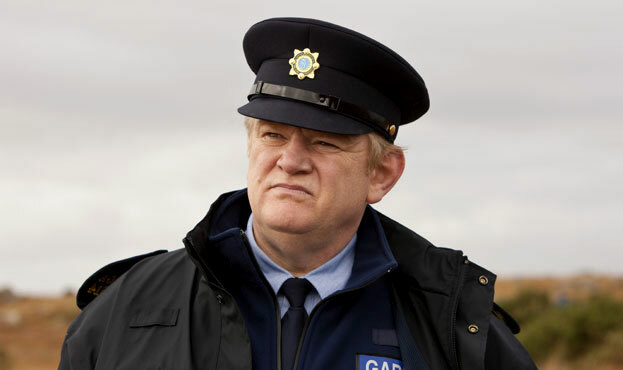 The plots are not overly complex and regularly pause so George can perform a number on his banjolele. Even when I was very young, these films were strictly only-if-there’s-nothing-at-all-else-on material, and later on they were often on in the background just to provide noise while I was doing something else. And yet, and yet… I distinctly remember watching one of these films in my late teens (it may have been Much Too Shy or Bell-Bottom George), and the plot grinding to a halt so Formby could perform a fairly mild and bucolic number about the pleasures of being a country milkman. But my response to the song was ‘Wow, this guy can play the hell out of that ukulele.’ The only thing I can honestly compare it to is the first time I properly listened to someone like Hendrix or Brian May on the electric guitar: a revelatory moment. I was doing an amateur production of My Mother Said I Never Should a couple of years after that (stage management, I wasn’t in it, obviously) and there’s a Formby song on the ‘soundtrack’. We borrowed a Greatest Hits CD and had it playing all the time while we were working on the show, and my admiration for Formby’s uke skills did not diminish; I even made myself a sneaky copy of that CD, something of which I don’t usually approve. And when I was living in Japan and hanging out down the internet café a lot, the music I was listening to on YouTube was obviously very varied, but I do recall a few Formby sessions going on then as well. So I’m beginning to wonder if buying the uke was quite the bolt out of a clear sky that it felt like at the time. I’m still rather surprised to find myself playing the thing, but it’s not like I haven’t enjoyed listening to ukulele music for decades. Of course, comparing Formby to other notable ukulelists , his style is very distinctive – quite simply because with George the real magic has nothing to do with finger-picking or chnking or anything at all connected to the fretting hand. It’s all about the strumming hand. I get the impression that one of the reason why Formby is a divisive figure amongst modern British uke players is because his playing style is so distinctive, and at the same time quite limited. Even I will admit Formby does not seem to have been the most versatile player – but I still really rate him. First of all, Formby is – and I am by no means professionally qualified to talk about this – an extremely competent strummer, by which I mean fast and rhythmical. The next thing is the repertoire of strumming ‘tricks’ Formby employs: by which I mean things like the Triple Strum, the Split Stroke, the Fan Stroke, the Circle and the Shake. Now, the modern world being what it is, there is a cottage industry on YouTube of people offering advice and tutorials on how to emulate ‘the Formby Style’. Most of these folk are also banjolele players – and, in passing, I note that they further emulate George by affecting the same kind of gormless stare-to-camera when playing – but so far as I can tell there’s no difference in technique between the regular uke and its circular-bodied cousin. I should say that most of the tutorials I’ve looked at have been very useful, and I have the mechanics of the Split Stroke more-or-less down in terms of the actual movements of the strumming hand. But this only goes to increase my admiration for Formby’s technique as a) he does the Split Stroke while rattling back and forth between chords and b) he does it at a blisteringly fast tempo. I am working on the Split Stroke as part of my practice routine but I can’t really conceive of ever really approaching that kind of speed. So the more I learn about Formby and his style, the more I admire him. At the back of my mind is the ambition to master the Formby Style and see about applying it to all sorts of songs – partly, I concede, for the comedy value intrinsic in doing a Formby-esque take on Delilah or Bad Moon Rising. Will I get there? I don’t know. But I think it’s important to have a long term aim, and probably also beneficial to admit that this man is probably a large part of the reason why I picked up a ukulele in the first place. Christmas draws close and my Diploma course grinds irresistibly on (to say nothing of work commitments and going to the movies), but still I am managing to find the time to practise and write about the ukulele and my increasingly complicated relationship with it. So far, here or hereabouts, I have written about my reasons for picking up a uke in the first place (I think the word self-justification should have been in there somewhere, but never mind), the mechanics of strumming, the basics of fretwork, and probably the one and only occasion in history when I will ever jam with James Hill. Quite how long I am going to continue to find brand new topics for each installment of this strand I don’t really know, but this week I would like to share a bit of an epiphany which occurred just the other night. When I do a full proper practice session I aim for at least an hour and generally try to mix stuff up: some of Aldrine Guerrero’s finger training exercises to kick off, then a trot through a few set pieces and a rattle through one of the tunes I already know – currently limited to House of the Rising Sun or Passenger (normally the former as the very simplicity of the latter makes it easy to get lost inside it). After this I generally move on to some melody or finger-picking stuff and/or an attempt at a new song. This week I got my hands on the Yellow Book from the Ukulele Playlist series and started tackling a couple of the songs from it. I must join the consensus and agree that these books are really good if you are of the strumming-accompaniment-to-your-own-singing persuasion. 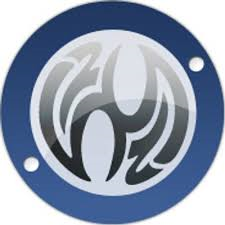 That said, I’m still not wholly sure of how the musical notes above the lyrics translate into actual strumming, and the difficulty levels of the songs vary wildly and aren’t always clear – one can innocently start to look at Hotel California, completely unaware that virtually every chord in it is different. However, despite the relatively simple strumming and slow pace, the chords in DALDOM turned out to be rather complicated – not the chord shapes themselves, but the issue of how to transition rapidly between them without breaking a couple of fingers. It all boiled down to how make the initial D chord – which finger, and whether to barre the chord – in a way which allowed me to go straight into the Fdim which immediately follows it. And, eventually, I figured it out (a first finger barre, if anyone’s interested. I’m aware this may be an unconventional and possibly even idiosyncratic finger position). From the Fdim, the Em7 and the following A are a doddle, but in the third bar you run straight into a D – C# – C progression with a B immediately following. Going from the C to the B at speed is proving incredibly difficult and I am looking for a way of consistently achieving the transition. I spent at least an hour twiddling around with this and ultimately only stopped when the muscles in my fretting hand started to complain. And I found I was actually quite reluctant to take a break, despite the fact that my playing still sounds rubbish and I can’t consistently play anything all the way through, let alone DALDOM. That was when I realised how much more cheerful and relaxed I have been since I’ve started messing around with the ukulele. Initially I was worried that taking up the uke would turn out to be another in a long line of silly and embarrassing ideas I would ultimately do my best to forget (finishing a novel, learning to speak Klingon, getting married, etc). But I can see myself sticking with the uke, even if it’s just at the messing-about-in-the-garret level I’m currently at. One way or another my ukulele engages both sides of my brain, the how-exactly-do-I-get-my-fingers-from-here-to-there problem-solving part and the let’s-get-some-rhythm-and-emotion-into-this creative part. Most of the things I stick with tick both these technical and creative boxes, so – the feasibility of my mastering the fabled Formby Split Stroke aside – it looks like I and my uke are in it for the long haul. Which feels a cheerful thought right now. Well, the Mighty Uke people gave me a free set of strings as a bonus to go with the t-shirt and DVD I bought from them, and this seemed like an opportune moment to upgrade from the nylon strings that came when I bought my uke. It also seemed like a chance to investigate the mystery of what exactly’s been going on with my first string (i.e. the one nearest the floor): to wit, the strange twanging effect and the tendency for my strumming appendage to get entangled in it. Not having a history in the Boy Scouts there was a degree of jury-rigging involved in contriving a knot that would not slip through the hole in the saddle under tension (this is possibly the most technical this blog has ever become), but eventually all was in place and the peg screwed to the appropriate point: and lo! The first string achieved an A a whole octave higher than the one to which I had become accustomed! The timbre of the instrument is now a bit more pleasing, but more importantly the tension in the first string means strumming at speed is far more achieveable, which bodes well for my Formby-esque long-term aims. (Although the fact that I am clearly so tone deaf I can’t recognise the fact that my notes are in completely different octaves suggests any kind of musical ambition is probably utterly deluded.) This means I can stop worrying quite so much about what’s happening at the thick end of my uke’s neck and pay more attention to matters in the vicinity of the headstock. Yes, folks, it’s fretwork time. Now, once you’ve got the jargon down (‘learning to speak ukulele’ as James Hill puts it on the DVD) in terms of first string, second string, first fret, second fret, etc, it is very easy to get started in making a pleasant noise strumming on the uke. It isn’t even that difficult to do the most basic chord changes – F to C, and vice versa. Of course, this is largely because F and C use different fingers on different strings. Once you go beyond that point the learning curve ramps up vastly. In the past I would never have described myself as having ugly clumsy sausage fingers – I know my way around a paintbrush and can produce results I personally find very pleasing – but the kind of speed and precision required, in my off-hand especially, to make even the C-to-G transition at tempo (a very common and fairly basic chord progression) seems to be beyond me. Play slowly and practice a lot is what everyone routinely recommends at this point. There is some virtue in this – the first song I properly practiced that wasn’t utterly simplistic was ‘House of the Rising Sun’ from Uke for Dummies. Displaying more of my musical mastery, it transpired I originally practiced it a) much too slow and b) in the wrong time signature. When I figured this out and modified my playing I found the transitions weren’t too difficult even at full speed (though I find I have a tendency to truncate my strumming pattern in my eagerness to get to the next chord on time – this, of course, is another issue). Nevertheless, I have decided that serious work in training my fretting hand is called for. My guru on this, as with many other practical matters of uke-wrangling, is Aldrine Guerrero of Ukulele Underground. Putting aside my habitual grumpiness at the drills in question being labelled ‘Left Hand Exercises’, the ideas Aldrine suggests seem sort of obvious once you see them, but I would never have thought them up myself and they seem to me to be very practical. I put in a lengthy session yesterday and have had an odd sensation in my fretting hand ever since: not in a bad way, but definitely signs of the muscles working in a new way. Will this translate into improvement in my fretting? I can only hope. A rare collision of different blog strands tonight, as another silly old film review collides with one of my vague and unhelpful disquisitions on the playing, or not, of the ukulele. 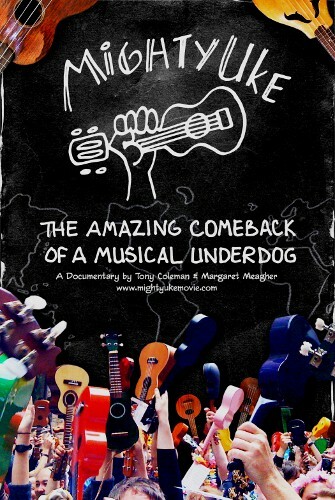 This is probably more interesting to followers of the latter than the former, simply because Tony Coleman and Margaret Meagher’s Mighty Uke is being released into the world one cinema at a time – or, to put it more accurately, the film-makers are taking it on tour. I knew that this groundbreaking uke-umentary was only making a single appearance in Oxford. This in itself seemed uncannily well-timed as I only learned of it within hours of taking up the uke myself. While I was also aware of the events supporting the showing, I didn’t know quite what an unusual evening this was to be. I was standing in the ticket line when a disparate group in matching t-shirts arrived and introduced themselves to the Phoenix staff with cheery cries of ‘We’re the Mighty Uke people!’ You don’t get that down the local Odeon. So I took my place in the theatre, looking around surreptitiously for ukes amongst the crowd (I had, of course, brought my own), but was interrupted by the appearance of a stocky Canadian in a cap in front of the screen. Rather to my surprise this turned out to be the film’s director, Tony Coleman: the ‘Mighty Uke people’ were not particularly rabid fans of the movie, but the actual film-makers themselves. Having the director turn up in person and thank you for coming is a very gratifying experience, and I’m surprised more movies don’t arrange something similar. With the way the evening would go having been explained, the film rolled. Coleman and Meagher’s film is about the ukulele; partly the history of this remarkable instrument, but mainly concerned with the current boom in its popularity. They set their cards on the table from practically the first sequence, which portrays the celebrated uke soloist Jake Shimabukuro in action: suspicions that anyone involved is going to treat the ukulele as a joke or in a remotely condescending manner at utterly blown away. From hereon the movie proceeds at a fairly brisk trot for the rest of its 80-minute running time, starting by covering the extent of the current ukulele boom (players from as far afield as Japan and Israel make an appearance), and the reasons for its popularity. The ease of starting to play is, rightly, addressed, along with the pleasingly low expectations surrounding the instrument (both reasons why I myself took up the uke). After this there is a lengthy segment on the history of the instrument, beginning in Hawaii in 1879 and proceeding through the 20th century, and interviews with notable players both past and present (one of whom, the 103-year-old veteran Bill Tapia, died only days before the screening I went to). These run the gamut from traditional folksy performers, to singer-songwriter Uni and her Ukulele, to Jon Braman (an extraordinary hip-hop ukulele player from New York), to Scandinavian punk uker Elvira Bira, and finally to the Canadian virtuoso James Hill whose talents on the instrument almost seem to defy logic. From hereon the movie segues again, to look at one of Canada’s most distinguished ukulele groups, the Langley Ukulele Ensemble (of which Hill is an alumnus) and their almost insanely enthusiastic teacher. Needless to say their skills are such that every summer they play a residency in Hawaii, and the film follows them on one such trip. 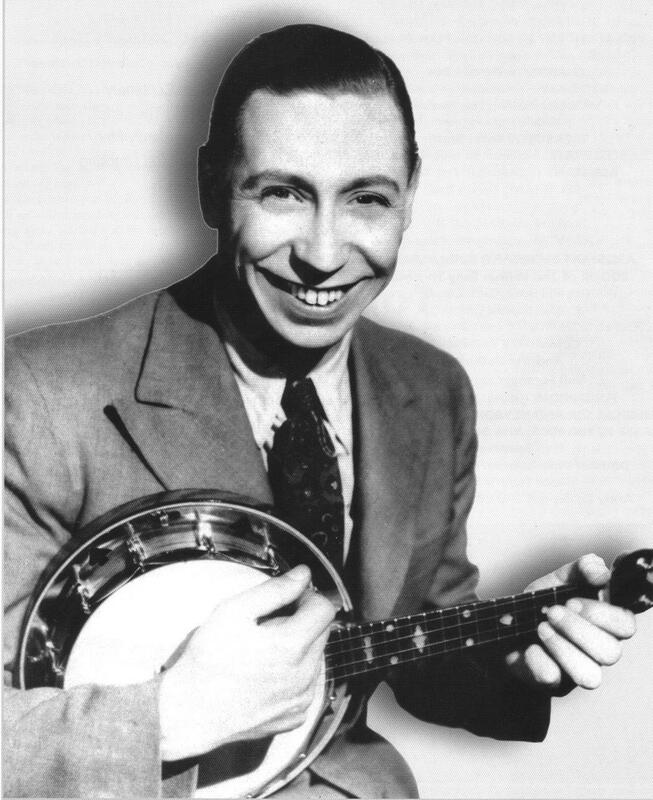 British audiences will no doubt have one major question: and the answer is, yes, George Formby does appear in the film – but we hardly get to hear that legendary right hand in action, doubtless for rights clearance reasons. The same presumably explains the omission of other noted performers such as the Ukulele Orchestra of Great Britain or Israel Kamakawiwo’ole. There’s hardly any Jake Shimabukuro in it either, really – the only modern great who gets serious screen-time is Hill, frequently described as the world’s greatest ukulele player, who was clearly heavily involved with the production behind-the-scenes. Hill has a point when he talks about the extraordinary musical sleight-of-hand a well-played ukulele is capable of – the sounds it generates seem so far in excess of what the musician is doing to it – but I think the appeal of the instrument is far simpler. It’s impossible to listen to decent uke music without feeling just a tiny bit uplifted and cheered, and the sound of massed ukes playing together is, quite simply, absurdly joyous. A wise man (not me) has said that a great documentary makes you interested in a topic you knew nothing about previously. As a uke player myself, I was probably always going to enjoy a film which celebrated the instrument, but even so I think this is a great little film. I don’t think it’s perfect – the structure doesn’t lend itself to much of a climax and the film seems to stop rather abruptly – but another wise man (and this time it was me) has commented on the suicide-inducing qualities of most allegedly ‘feel good’ movies: I’ve never seen Mighty Uke described in those terms, but for me this was one of the most simply enjoyable films I’ve seen all year. And the evening did not conclude with the end of the film – following a short intermission, we moved forward to cram the front two or three rows of the theatre, as James Hill himself was accompanying the tour and performed a brief set with his accompanist, the cellist Anne Davison. When not telling fairly droll anecdotes about being interned in Singapore on suspicion of having bird flu, Hill showed off his own skills and the versatility of the uke by playing folk songs, jazz, original compositions, and then rounding off with his celebrated arrangement of Michael Jackson’s Billie Jean, playing percussion, rhythm and melody simultaneously on a single uke. One of the most astounding pieces of musicianship I’ve ever seen. Finally, there was the promised ukulele jam, and it seemed that most of the crowd had brought their own ukes. (Another thing you don’t get down the Odeon – though I suspect if I turned up to the latest Twilight and started strumming along to the action I would be bodily ejected from the showing.) My Makala MK-SC seemed very humble given the distinguished instruments suddenly appearing all around, but this was no time for bashfulness. The sound of twenty-five ukuleles and a cello tuning up simultaneously is not one which is easily described, and only added to my concern that the A-string on my own uke is an octave low, but then the assembled ukes and their players launched into a couple of simple songs, led by Hill (performing a strange human semaphore to indicate chord changes). This was a strangely transcendent moment for me in my playing; the duff noises coming off the A-string and my tendency to get my strumming finger tangled on the upstroke suddenly seemed quite inconsequential (although my inability to get from G to D minor cleanly was more of an issue). Too soon it was over and we all wafted out of the theatre in a state of elation, united by our affection for the uke. Much to my delight I made the acquaintance of a group of Oxford-based ukers and with any luck I will not be labouring in isolation for very much longer. A good movie, a great experience, and the best night out I’ve had in a long time.